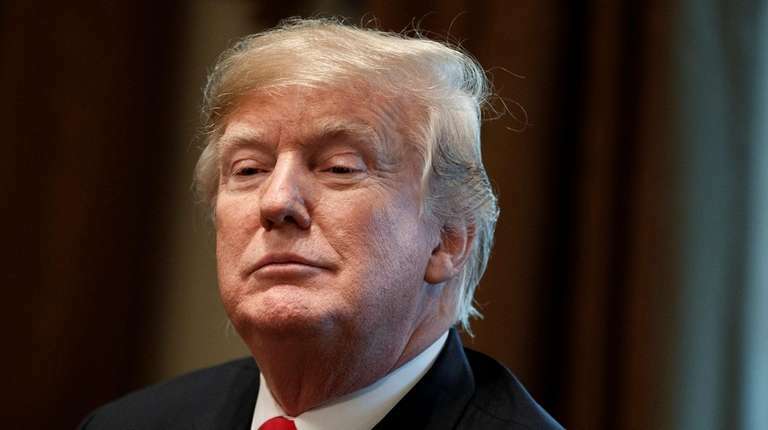 Last week President Donald Trump said he would be "proud" to shut down the government over $5 billion for his dearly desired border barrier that lawmakers are declining so far to budget. Then the squirming and backtracking began. White House spokeswoman Sarah Sanders said Tuesday morning: “We have other ways that we can get to that $5 billion. At the end of the day, we don’t want to shut down the government, we want to shut down the border." By Tuesday afternoon, she added that Trump has asked every agency to see if they have money that could be used for to pay for the wall. Worth noting: At no point has the Republican majority now seated in Congress jumped forward with a unified voice to support the president's vision for this edifice. Nor has Trump been seen carrying out the painstaking negotiations that would ordinarily be needed to build any such consensus. Senate Majority Leader Mitch McConnell proposed $1.6 billion for "border security," plus $1 billion that Trump could use in an unspecified way, but Democrats dismissed the latter as a slush fund. Unlike in previous shutdown crises, Trump has already signed bills into law to fund five government departments, including Defense and Health and Human Services. It is another seven agencies, including the Department of Homeland Security, that need to be funded under Friday's deadline. Other unfunded departments are Transportation, Commerce, Interior, Agriculture, Housing and Urban Development, and Justice. A shutdown could mark a display of dysfunction in Congress just as one house is about to change party majorities. Back in October, federal officials made a somewhat curious presentation meant to show progress toward the Great Wall. Visiting Calexico, California, Homeland Security Secretary Kirstjen Nielsen unveiled 2 miles of new border fencing consisting of steel bollards 30 feet high, and chose to call it the first new section of the wall. "It's different from a fence in that it also has technology. It's a full wall system," she said in Calexico. "It's a wall, this is what the president has asked us to do. It’s part of a system." Border fencing has been installed in stages over many years in the course of the past two presidential administrations. Last year, the nonpartisan U.S. Government Accountability Office stated in a report: "In addition to the 654 miles of primary fencing, CBP has also deployed additional layers of pedestrian fencing behind the primary border fencing, including 37 miles of secondary fencing and 14 miles of tertiary fencing." Sealing off every gap across the 2,000 miles in question here remains quite a tall order.